Formetco is a privately-held firm which manufactures digital signs and sells billboard products. Jock Gibb is Vice President of Sales. He began his career with Formetco in 1993. Today, he divides his time between Formetco’s Billboard Hardware Division and Formetco’s Digital Billboard Division. Insider talked with Jock last week. Jock, how did you enter the out-of-home business? My father started at Formetco in 1968, so I grew up in the out-of-home industry. When I was very young, on our family summer vacations, my dad would stop along the way and make sales calls. Having been raised in the industry and having watched how much my father enjoyed and thrived in it, it was only natural that I went to work at Formetco after college. 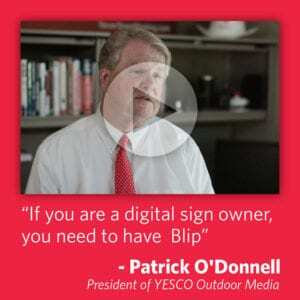 How did Formetco get started with LED Digital Billboards? Formetco’s history and successes are all based on our experience in the out-of-home industry and how our products meet and exceed our customer’s needs and expectations. We listen to our customers and work hard developing products that offer them real cost savings solutions. Formetco purchased Ad-Tech International, Inc. in 2006, and through that acquisition, we obtained a Research and Development facility in Minneapolis that was staffed with engineers with years of experience in the LED Industry. That jumped-started our efforts, and we began installing Digital Billboards in 2007. How does Formetco make its LED Digital Billboards? We use a proven method standard in many industries, such as the automotive and electronics industries, that allows us to sell a high-quality product at a competitive price. We subcontract the production of subassemblies, and accomplish the final assembly of our products at Formetco’s facility in Duluth, GA. Formetco has Quality Control staff doing on-site product inspections in every factory. Formetco developed, controls and owns the form, fit and function of our technology. This includes developing and owning the control software, diagnostics system, all the custom molding, and the system schematics. We also directly negotiate pricing on the larger cost components used in our subassemblies process, such as in the power supplies, driver ICs, and the LED diodes. This has allowed us to be the first Digital Billboard manufacturer to offer a 10 years parts warranty, a 10 year brightness warranty and 10 year parts availability warranty on every Digital Billboard we sell. Over the years, how has this worked for Formetco? We firmly believe that we can offer our customers a better product and a very competitive price because of our manufacturing processes. We’re the only Digital Billboard manufacturer that takes advantage of cost savings based on mass production techniques. As a result, we can offer our customers the most highly efficient electronic components in the industry which translates into lower power bills and longer life of your digital billboards. We have obviously had success with our business model, but nothing in our modern, industrial business world is foolproof. Formetco stands behind everything we sell and has done so for nearly 50 years, so our customers have been and know they will continue to be taken care of. 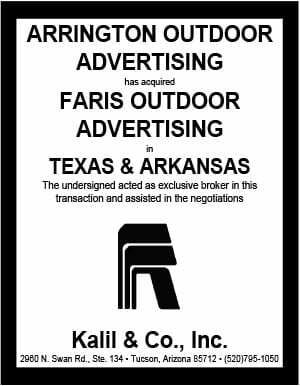 That’s one of the benefits of dealing with a family owned business, serving the Outdoor Advertising Industry since 1968. What is the status of FCC compliance at Formetco? Formetco’s FTX product, which is our LED Digital Billboard product, has been certified FCC Compliant. All certified products bear the FCC compliance label and also have UL-48 and CUL-48 Electrical Certifications.